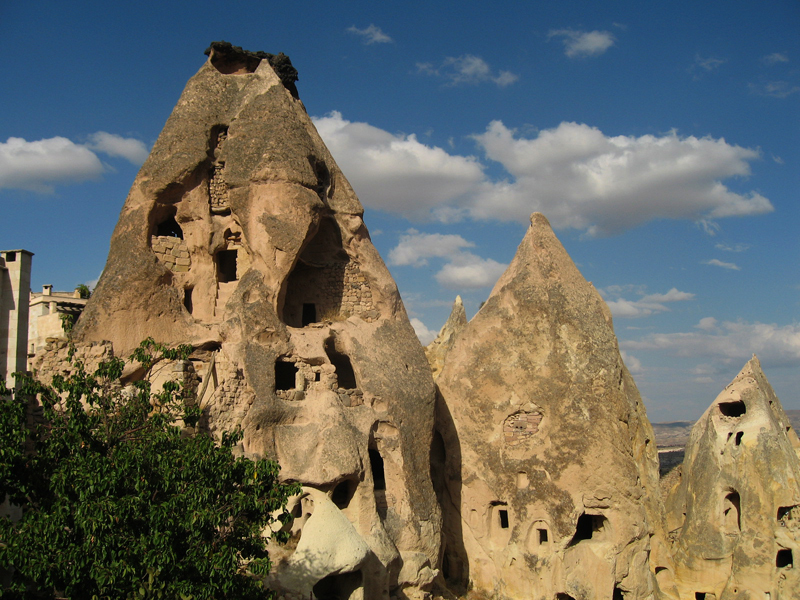 Looking at Uçhisar from a distance, it appears to be one huge rock, broken and riddled with holes. 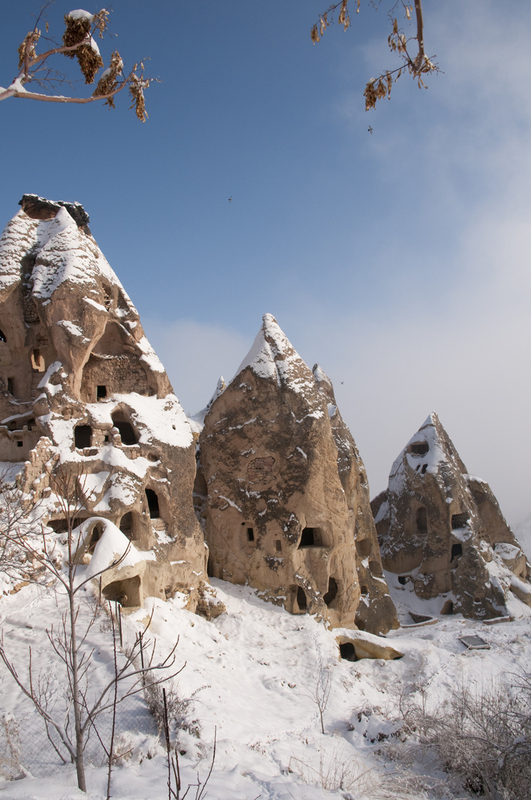 Coming closer you see more and more houses built all around and into the stone. 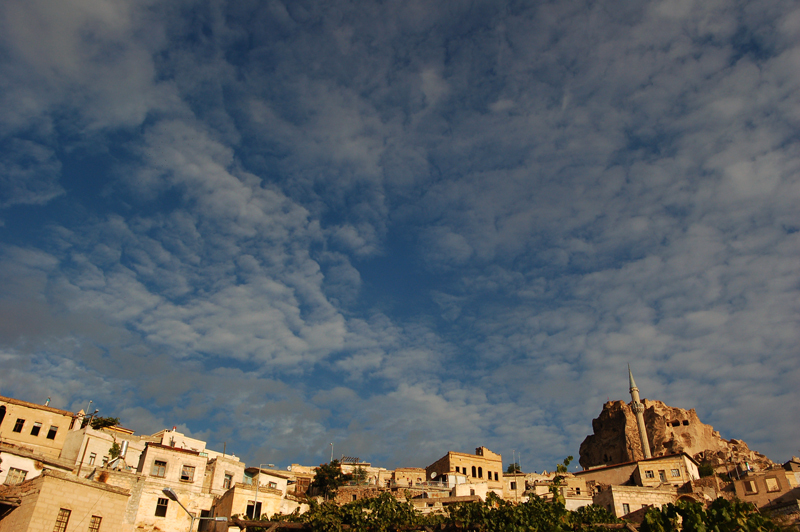 Narrow streets are squeezed in between the structures, along with mosques, fountains and yards. 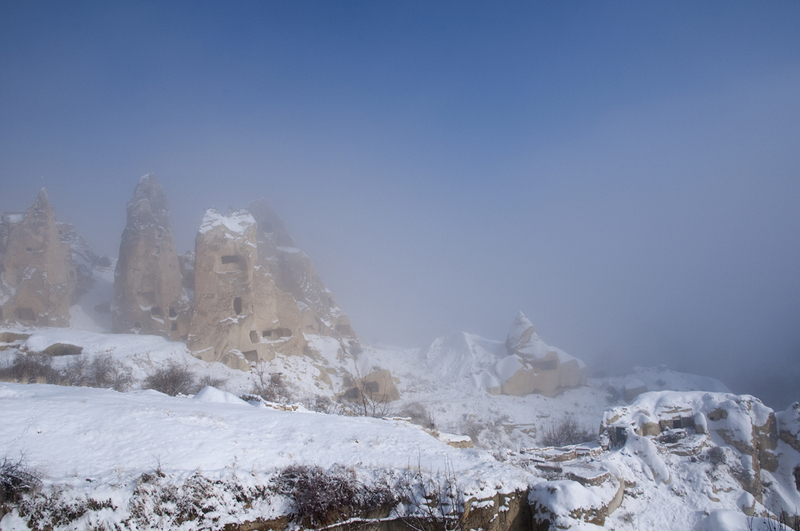 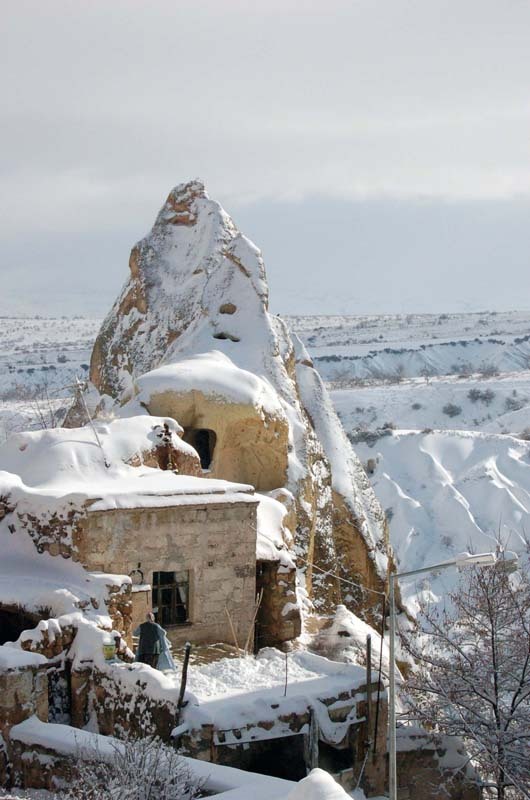 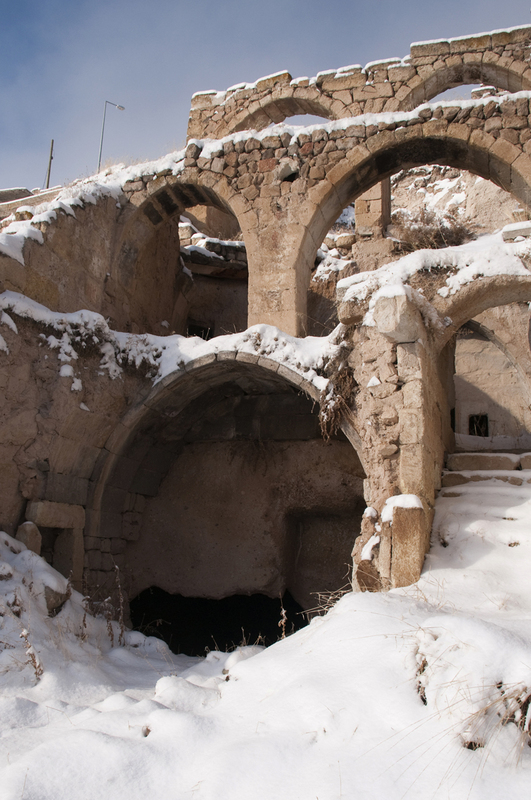 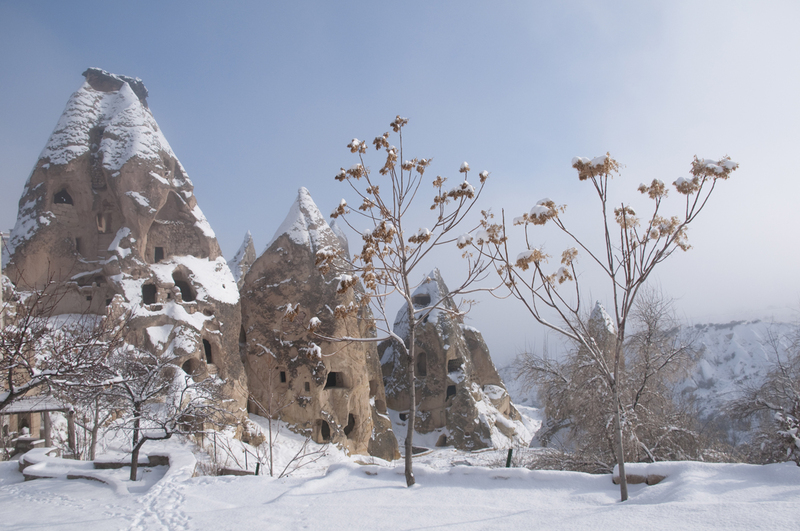 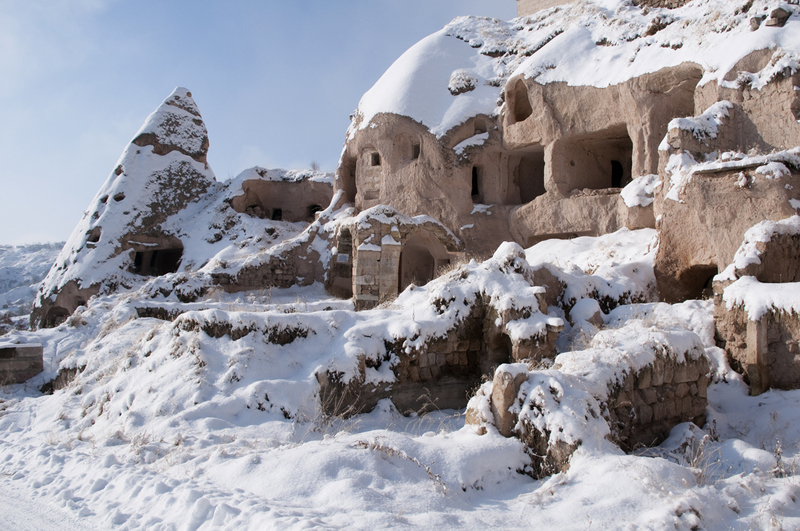 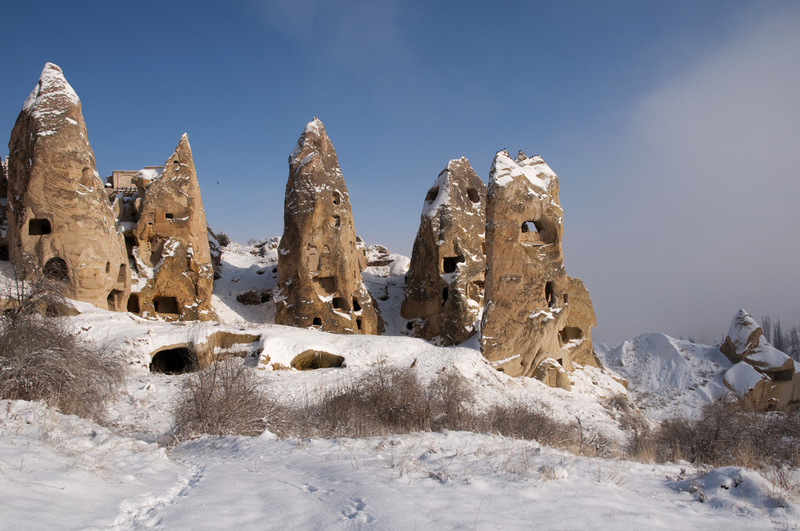 This is the village of Uçhisar with its fortress, the kale, situated at the highest point in the region.